What is your mission statement? The question was posed to our marketing and business students today by Briana Rueger from Men's Wearhouse. She spoke to students about how to position themselves to land the jobs they want and be successful once they get there. She asked them to think about how they like to work -- in small teams, or teams that fluctuate weekly, what type of environment -- fast paced and changing, or predictable, and what type of guidance they would like on the job -- coaching, or oversight. In a 40-minute "How to Dress for Success" seminar in the school's restaurant (closed today), she covered how to build their resumes, dress smartly in business attire, research the company they wish to work for, and arrive with a list of questions for the interview -- notably asking the interviewer his or her favorite part about working for the company. She also cautioned them about the image they project on social media. "You're kidding yourself if you think companies aren't looking at these sites," she said. She has conducted 50-60 interviews in the past few years, she said, and nearly always checks on applicants. "If your posts are inappropriate, I won't call you. Use your privacy settings." 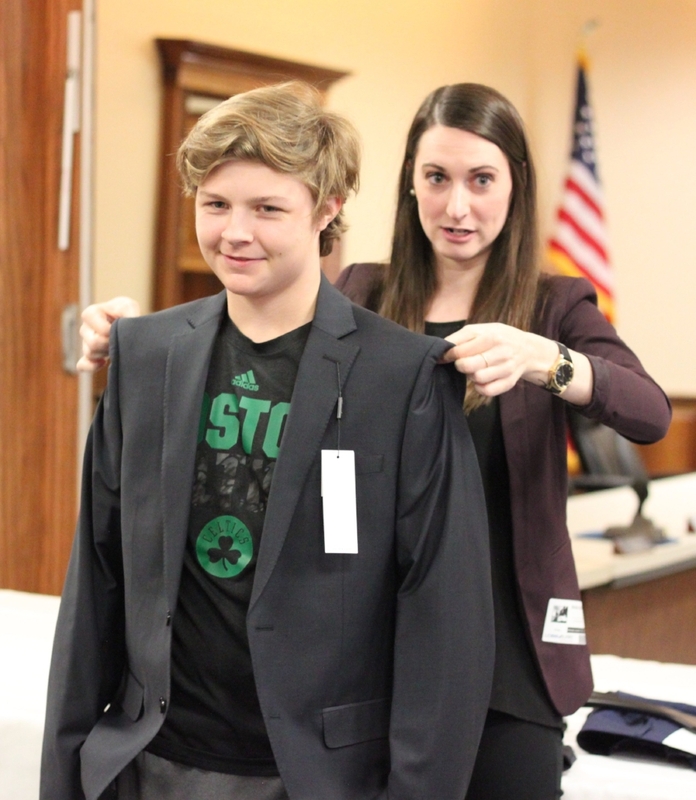 "I like how she explained everything," said Nick Nahid, a junior who studies marketing, and along with Freshman Dominic Paolucci, volunteered to model suit jackets during the presentation. "It's good to know what to wear in different types of situations. I learned about the types of clothing to wear to interviews and in the workplace, depending on where you work." 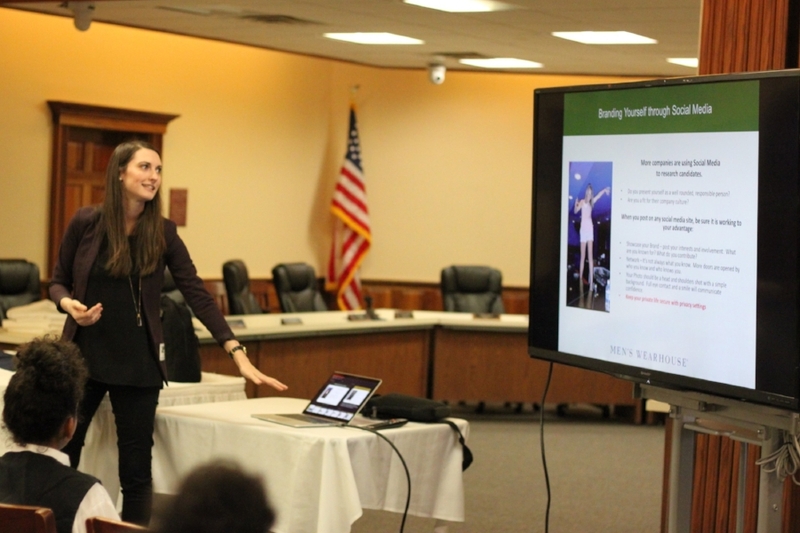 Marketing Teacher Amanda Crosby set up the session through DECA, an international club Whittier students belong to which prepares emerging leaders and entrepreneurs to be college and career ready. Men's Wearhouse is a DECA business partner and serves on its National Advisory Board. The stores offer clothing discounts to members.